Who Needs Sedation Dental Care? Sedation dental care is one way for patients to complete their dental needs at Levenson Smile. Worcester dentist, Dr. Levenson, understands that many patients have fears, anxieties, and phobias that revolve around the dentist's chair. Sedation dentistry helps patients who fear the dentist gets the treatment they need without having to experience their negative feelings associated with a visit to the dental office. However, sedation dental care can help other patients, too! Dr. Levenson provides sedation dental care for patients who tend to have a lower pain threshold. Each patient is different, and experiences pain on different levels. For patients who know that they have a lower threshold or tolerance for pain, sedation dentistry can be used in conjunction with local anesthesia to provide the best in pain management for patients. Patients who have a very sensitive and active gag reflex may also benefit from Levenson Smile's sedation dentistry. Some patients gag at the thought of dental instruments in their mouth, and others may find it difficult to take x-rays or have impressions taken. Sedation dental care allows a patient to relax and have a pleasant experience. It is offered even if they are visiting Dr. Levenson for a regular check-up or simple professional cleaning. Sedation dentistry is also great for patients who want several treatments or procedures done in just one trip. If Dr. Levenson of Worcester is placing several veneers, implants, or other cosmetic restorations, patients can save themselves the cost and time of numerous trips to the dental office by scheduling just one sedation dental appointment and having even more extensive work has done in one trip. Additionally, Dr. Levenson can utilize sedation dentistry for patients with special needs, such as autism or Asperger's, as well as for patients who may be prone to seizures. This allows Dr. Levenson the opportunity to complete the work needed and help the patient be emotionally and physically comfortable in the dental environment. Additionally, Dr. Levenson is a member of DOCS, and receives continuing education on sedation techniques. Dr. Levenson is a dentist providing sedation dental care for patients who can benefit from this form of dentistry. With one call, Dr. Levenson, Worcester dentist, you can schedule a consultation to discuss what is involved in sedation dental care. 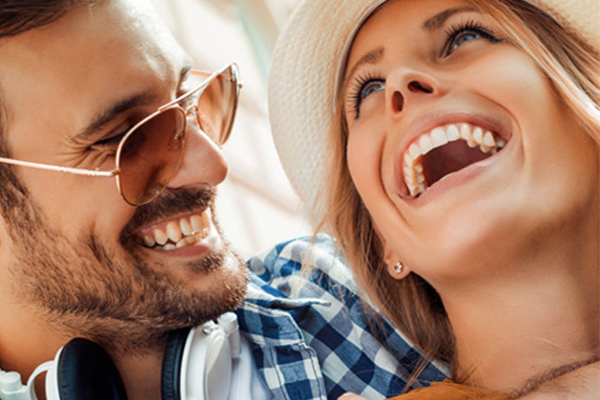 Together with Dr. Levenson, you can achieve that unforgettable smile you've always dreamed of having!